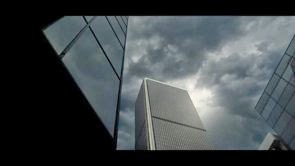 Imagin8ion from David Lo on Vimeo. Promotional piece for Canon's Project Imagin8ion. I created the diamond lighting/effects (rain, bus, dog) and lighting of the astronaut. Also created a lighting pipeline from scratch. Verizon Arena from David Lo on Vimeo. I re-lit the robots for this version (not the same as the one that aired), lit the apparatus and the phone.